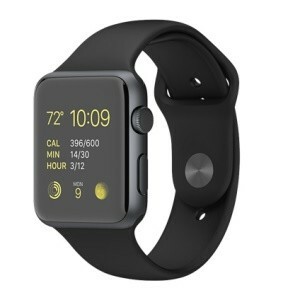 Here are the most interesting Apple Watch facts and statistics that I’ve been able to dig up so far. As always, I will be adding to and updating this post often, so be sure to check back regularly for changes. It seemed like speculation of an Apple watch (or Apple iWatch) went on for years (probably second in tech rumors only to an Apple TV set or the Facebook dislike button) and finally, in 2015, Apple fanatics got what they were dreaming of…sort of. While the Apple watch isn’t exactly an iPhone on your wrist like some anticipated and it’s price is a bit high relative to its competitors, it is a nice little device that has enjoyed mostly positive reviews and has put up some pretty impressive numbers in terms of sales, apps and market share. Here are a few of the early results for the Apple Watch. As always, be sure to check back in the future for updates and additions to this post. Despite popular belief, the Health & Fitness category only ranks 5th in number of apps developed for the Apple Watch. Report 6: Messaging App Company Report (Apple, Facebook Messenger, Kik, LINE, QQ, Skype, Snapchat, Viber, WeChat and WhatsApp). Wearable Technology Statistics Updated for March 2016. Here is a comprehensive list of all of the wearables statistics and facts that you need to know. 85 Amazing iPhone Statistics and Facts (2019) | By the Numbers Here is a comprehensive list of the iPhone stats and facts that you need to know. Updated for 2019.